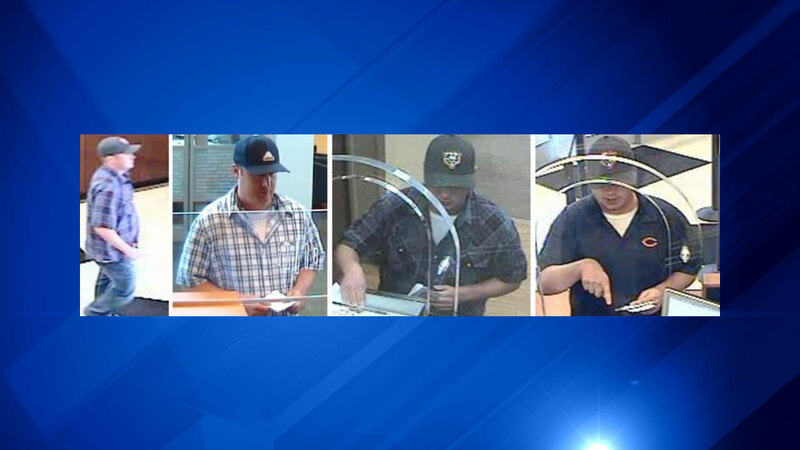 CHICAGO -- The FBI announced a reward Tuesday for information leading to the capture of a man dubbed the "North Center Bandit," who is suspected of robbing three banks in about a month. His most recent heist happened at 2:12 p.m. Thursday at the Chase Bank branch at 3339 W. Belmont Ave., when he handed a teller a threatening note demanding money, and made off with an unspecified amount of cash, according to the FBI. Authorities think the same man robbed the Chase branch at 3335 N. Ashland Ave. on Aug. 27, and the PNC Bank branch at 4201 N. Lincoln Ave. on Aug 21. He is described as a white man 25-35, between 6-feet and 6-feet-2 and 180-210 pounds, authorities said. He hasn't shown a weapon during any of the robberies, but the FBI warns he should be considered armed and dangerous. Anyone with information should call the FBI at (312) 421-6700.